MEASURES - 1, 2, 3... START! We are glad that, one month after the official start, most of the team involved in the implementation of the MEASURES project has gathered to meet us to create the plan and put the project on track. In the half-day spent together we managed to get through the entire project activities, make the plan for the first period and discuss the important issues of eligibility and reporting. So, by the end of October, a list of stakeholders will be prepared for analysis. It will be useful in future project activities, in order for us to focus on achieving our goals. Regarding the mapping of habitats and migratory fish, this autumn, in Romania, the training will take place in which relevant persons will have the opportunity to learn how to identify the sturgeon species in the Danube, studying the various cartographic instruments, sampling eggs, larvae and other sturgeon segments, tag implantation, and tracking and analyzing marked fish routes. In the following period, the exact period when it will take place, who will participate and the schedule of the event will be fixed. Regarding WP5. 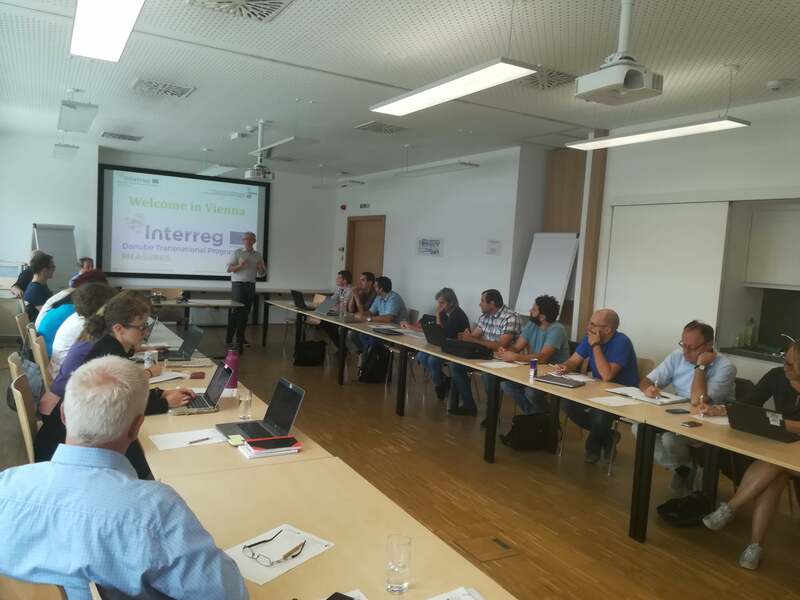 Development of a basin-wide manual to conserve the genetic pool of Danube sturgeon species activity, a series of further steps to discuss the scientific work of the project were discussed. Also, with regard to repopulation, in Hungary a number of fish farms with which we will work were identified, and in Romania these farms will be identified following discussions with the relevant authorities. Two important discussion topics were setting the rules for project communication and determining when the Kick off meeting will take place. Thus, it was decided to take place between 1-2 October in Vienna, a Save the Date being already sent to a preliminary stakeholder list. Thus, the next period is very important for standardizing the project activities and for starting the most important activities.